Literally a dread of the marketplace, a morbid fear of open spaces. The term is currently applied to the most severe form of phobia, which usually is accompanied by panic attacks. An affect that differs from other affects in its specific unpleasurable characteristics. 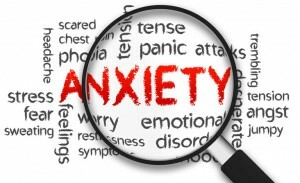 Anxiety consists of a somatic, psychological side (disturbed breathing, increased heart activity, vasomotor changes, musculoskeletal disturbances such as trembling and paralysis, increased sweating, etc.) and of a psychological side. The latter includes Òa specific conscious inner attitude and a peculiar feeling state characterized (1) by a physically as well as a mentally painful awareness of being powerless to do anything about a personal matter; (2) by presentiment of an impending and almost inevitable danger; (3) by a tense and physically exhausting alertness as is facing an emergency; and (4) by an apprehensive self absorption which interferes with effective and advantageous solution of reality problems. A syndrome consisting of inattention, excessive motor activity, and impulsivity. Other symptoms include specific learning deficits such as dyslexia; perceptual motor deficits; defective coordination; lack of response to discipline and antisocial behavior, especially in adolescence; interpersonal relationships marred by obstinacy, stubbornness, negativism, bullying, emotional liability, low frustration tolerance; temper outburst. A syndrome consisting of inattention, excessive motor activity, and impulsivity. Hyperactivity is manifested in restlessness and poorly organized excess activity that is haphazard, inconsistent and lacking in clear goal orientation. An affective disorder characterized by episodes of mania and depression; manic-depressive disorder, mixed-type. A physical and psychological habituation to a mood- or mind-altering drug, such as alcohol or cocaine. A clinical syndrome consisting of a lowering of mood tone (feelings of painful dejection or an irritable mood), loss of interest or pleasure in comparison with the subject’s premorbid state, psychomotor retardation or agitation, and difficulty in thinking or concentration. Complaints of fatigue or loss of energy and of feelings of worthlessness or guilt are common. An affective disorder marked by alternating episodes of mania and depression. Also called bipolar disorder, bipolar illness. A type of anxiety disorder consisting of sudden onset of intense apprehensiveness or terror and, often, a sense of impending doom, feelings of dispersonalization or derealization or both, and fear of losing control or “going crazy.” Accompanying the mental state are emergency physical symptoms and signs of automatic hyperactivity. A type of anxiety disorder consisting of a morbid and irrational fear of a specific object or situation associated with severe anxiety, and recognized by the subject to be unreasonable or unwarranted. It is more than fear, however, for it requires that the feared object be avoided in order to stave off the panic it would otherwise engender. A psychiatrist is a physician who has advanced training in the diagnosis and treatment of mental disorders. One versed in the branch of medicine that deals with the prevention, diagnosis and treatment of mental and emotional disorders. Although with the development of behavioral neurology there is increasing overlap between the medical specialties of psychiatry and neurology, it may generally be said that psychiatry is concerned with disturbances in emotion, thinking, perceiving, and behavior. The separation or resolution of the psyche into its constituent element. The term has three separate meanings: (1) a procedure, devised by Sigmund Freud, for investigating mental processes by means of free association, dream interpretation, and interpretation of resistance and transference manifestations; (2) a theory of psychology developed by Freud out of his clinical experience with hysterical patients; and (3) a form of psychiatric treatment developed by Freud that utilizes the psychoanalytic procedure and is based on psychoanalytic psychology. A person trained as a professional in the science of psychology; a person with a degree in psychology granted by an accredited training program or educational institution. The individual psychologist often specializes in one of the branches or fields of psychology, and is then identified as that type of psychologist (e.g. research psychologist, educational psychologist). 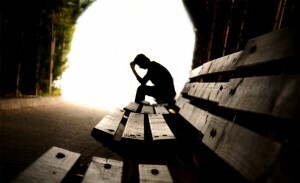 Any form of treatment for mental illnesses, behavioral maladaptations, and/or other problems that are assumed to be of an emotional nature, in which a trained person deliberately establishes a professional relationship with a patient for the purpose of removing, modifying, or retarding existing symptoms, of attenuating or reversing disturbed patterns of behavior, and of promoting positive personality growth and development. Any of a group of psychotic disorders usually characterized by withdrawal from reality, illogical patterns of thinking, delusions, and hallucinations, and accompanied in varying degrees by other emotional, behavioral, or intellectual disturbances. Schizophrenia, often associated with the splitting off of portions of the psyche, which portions may then dominate the psychic life of the subject for a time and lead an independent existence even though these may be contradictory to the personality as a whole. Definitions from Psychiatric Dictionary, Sixth Edition. © 1940, 1953, 1960, 1970, 1981, 1989 by Oxford University Press, Inc.